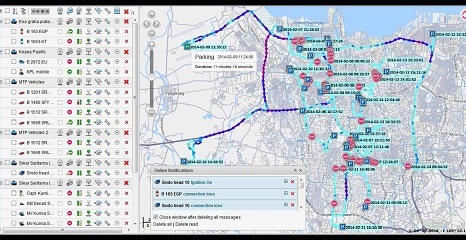 Phoenix reveal is a condition and asset monitoring and management application based on the world leading Wialon Telematics platform. Whether you simply want to have visibility into your fleet or asset or you want to do sophisticated analytics the platform can help you. The interface is designed to be simple yet provide all the power needed by the most demanding user. You get only the information that you need so you can make decisions faster. The user can add or remove any of the workbench windows depending on the need. Many users just use the notification pane for alerting and then add the other windows for real time monitoring. 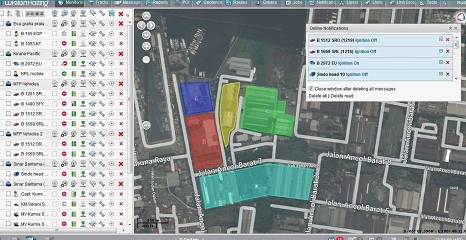 The map window can be configured to show live tracking or simply current vehicle location. The ability to manage individual units or to place them into unit groups makes working with the application easy for users and administrators. If the user zooms out individual units are placed into groups so as not to clutter the window. Full report analytics capability with ability to show the condition of any captured sensor either as a the raw message or add a graph. 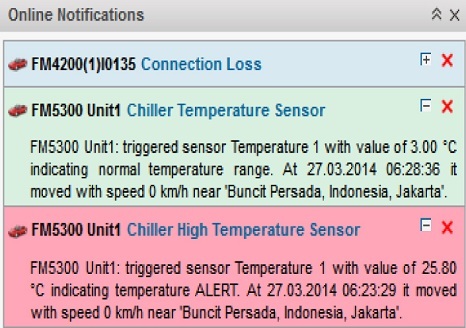 Multiple sensors can be shown at the same time and sensor trigger point can be shown on the map if the sensor record is clicked. In formation can be exported if required. The status of any nit can be seen by mousing over the unit. This can show a range of data element including all parameters coming form the unit. This allows for operators to quickly check what is happening with any unit. A simplified graphical representation is used on the unit work window to show the main data items such as connectivity. Companies can start with a simple deployment and as staff skills build they can expand the functionality of the system. In this way value realization is very fast. The system can grow with the company as more mobile, fixed or human assets are added and there is no need to learn new skills to cope with growth. Through the use of the included Software Development Kit users can use available applications extensions such as driver behaviour management created by the user community or the telematics application developer or create their own applications to solve their own unique problems. This guarantees future proofing of your investment. Powerful notification capability to screen, email or sms. “Push to edge” capability means that units are never lost if the map is scrolled. They are glued to map edge with status shown. Unlimited reporting templates with graphing capability. Dynamic group creation based on notifications. Activex option available for integration. Unlimited monitoring sensors can be created that can be based on physical sensors or virtual sensors. Jobs can be set up to automate tasks such as daily report sending. 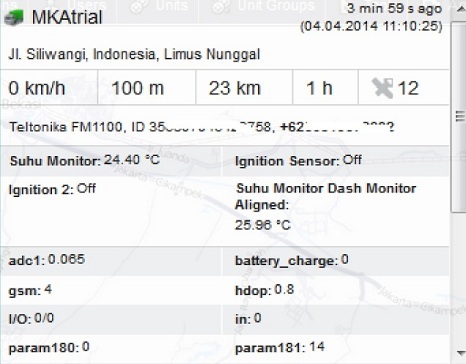 Multiple alternatives for fuel usage management and analysis. Ability to optionally keep 12 months detailed history on the units. Mobile applications for iPhone and Android devices.